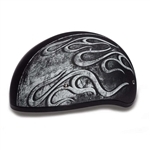 Our DOT approved half helmets are perfect for riding in warmer weather & are our most popular selling lightweight styles. 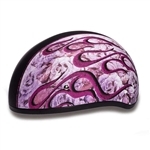 Be sure to check out the smallest dot helmets. 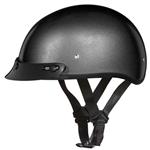 Lightweight motorcycle half helmets are the best option for someone looking to abide the DOT helmet laws but does not want a bulky helmet. 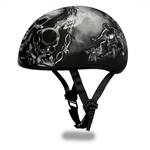 We stock the most popular and comfortable half helmets currently available in a variety of colors & graphics. 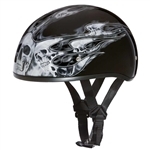 We carry a style for every budget weather you are looking to spend alot or a little we have a selection for you. 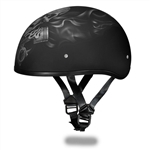 Be sure to check out our Badass helmets that are so lightweight and comfortable your neck will thank-you! 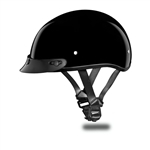 **During peak season (04/01 - 08/01) there may be a short waiting period for motorcycle helmets of approx. 1-2 weeks. 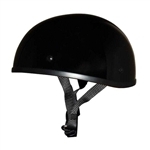 In the event that it will take longer to process your order we will contact you.